Here are 15 reusable versions of common household items. Get rid of disposables to keep your trash out of landfills, save money, and enjoy better quality! When I hear the word “reusable” advertised with a product, I perk up. 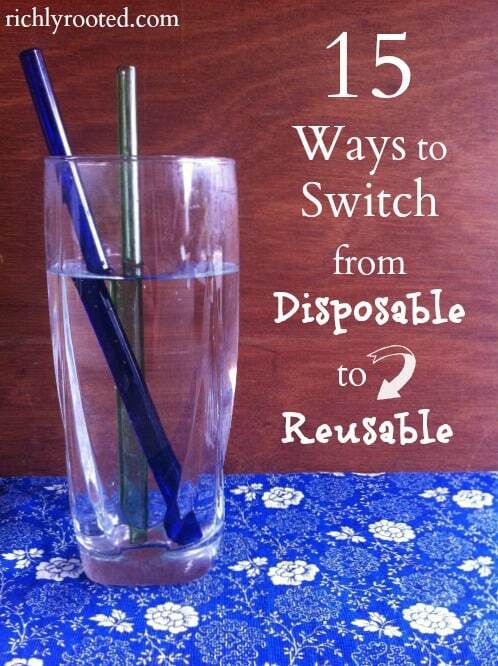 I love learning of new ways that I can switch out disposable household items for reusable alternatives. I don’t make the changes because it’s the trendy thing to do–I make them because it’s the common sense thing to do. So why should you consider switching to reusable options? Maybe that last one will make you look a little “trendy,” but who cares? Wood and glass and cloth are classier than plastic or paper–you can’t get around that. Go on a treasure hunt around your house and identify the disposable items you can switch out. 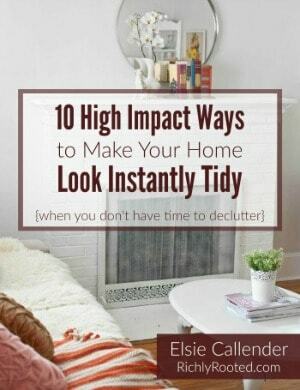 You may have already done some of the things on my list (#12 is pretty common), but maybe others are new to you (have you done #6?). These are a must in my natural cleaning arsenal. I use them in place of paper towels–the general purpose cloths for dusting, and the polishing cloths for glass and mirrors. I also wrap a damp general purpose cloth around the Swiffer head so that I don’t have to buy Swiffer pad refills. Grove Collaborative is an online shop that carries quality microfiber cloths for cheaper than you’ll find in-store. The cheap, synthetic sponges get gross quickly. I bought a few microfiber sponges that I can toss in the washing machine as needed. There are so many cheap, throw-away options that get nasty fast! Instead, you can use a nifty product like this one for a long time! I also love the variety of scrub brushes that Grove Collaborative carries. There’s something for everyone! We try to use old T-shirts and towels in place of paper towels for cleaning up messes. To step it up a notch, try making your own disinfectant wipes. Keep these in your car trunk to have handy! They also double as sleeping mats for your cat. Plastic curtain liners get nasty over time, and you have to toss them. You may have to spend a little more on a cloth curtain liner, but not much–and you can toss it in the laundry when it gets dirty. This is on my list of things to switch! There are lots of pretty cotton handkerchiefs available online, like this one or these. And there are plenty of durable plain white options for guys! 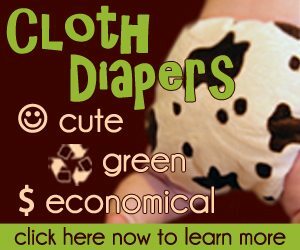 We’d love to cloth diaper our future babies because we’re not a fan of the chemicals in disposable dipes. Around the thought of mountains of poopy plastic diapers filling up landfills just isn’t pretty. For all you need to know about cloth diapers, I recommend this handbook. I’m not going to talk much about this one, but I’m a fan! This and these could change your life! Instead of reaching for a paper or plastic bag to pack your lunch, go with an inexpensive, insulated tote. I have one similar to this one. We all do this now, right? No need to keep Styrofoam cups in the cabinet when there are so many great, eco-friendly options out there! The savings can really add up here! My family of 8 started using cloth napkins when I was about 7. I did some number crunching based on this popular brand of paper napkins and figured that we saved well over $3,500 over the years, just by using cloth! If you have a big family like I did, it’s helpful to get each person their own unique napkin ring–if the napkins get shuffled between meals, you know whose is whose. Plastic cutlery is the obvious choice for picnics, cookouts, and camping trips, but I’m not sure it should be! After our Epic West Adventure last summer, we decided that plastic utensils weren’t worth it. Why? They break! So grab some cheap packs of silverware at Wal-Mart or the Dollar Store and wash and reuse those, instead! For home use, Corelle plates are durable and lightweight (easy for children to manage). For camping, we wash and reuse sturdy plastic. Pick out a glass straw for each person in your family! You can wash them in the dishwasher and reuse them for life–if they’re made of borosilicate glass, they won’t break! I got ours from Strawesome, a Michigan-based family business. I picked up the smoothie straw size since those seemed the most versatile. There are also a variety of glass straws available on Amazon. For great reusable options for your home, browse Grove Collaborative! Although they carry disposable products, too, they stock reusable items like microfiber cloths, the Diva cup, kitchen items, and more. If you’re new to Grove Collaborative, you can get a FREE Mrs. Meyer’s handsoap + $10.00 store credit when you click through this link. What did I miss? What other items can you swap out for reusable? Great list! We do all of these over here. I’ve also started cutting up old receiving blankets and using those for my “cycle”. 😉 They work great! For Wellness Wednesday this week I linked up my post, “Why Women are DITCHING the PILL for F.A.M.” It has really important information that I wish all women knew! This is a great list! We do most of those things already… I haven’t gotten to the handkerchiefs yet, which is sort of silly. It’s one of the easiest things on that list! And I’m done with cloth diapers now… probably forever. this is brilliant! We have a score of these buckets and tops (this is about the only ice cream we buy for our big family when it goes on sale for under $4).Will definitely be using this idea. Great ideas! I haven’t thought about the reusable sponges, yet. I’ll have to check those out, thanks! Sharing all over my social media platforms. Such a great list! We do most of them…but I hadn’t heard about the glass straws…brilliant! When we were in the grips of cloth diapers, I read about “family cloth” and my hubby about came unglued…”ABSOLUTELY NOT!” There is only so far my non-crunchy friends and family will go, I suppose. 🙂 Another idea is to reuse single-serve yogurt cups for kids’ snack/drink cups. They come in real handy when you have a pile over for playgroup. Check yard sales for awesome vintage hankies…some of my favorites have beautiful hand embroidery and are super soft. I started using 100% cotton pads for the menstrual periods…it’s amazing! I have much less cramping and much less flow. I had read a lot of the reviews of other women who had done it, and they all said the same thing. I wonder if there’s not something chemical in sanitary napkins that isn’t good. After 7 pregnancies, I had started experiencing very heavy and long periods. The first month I began using the cotton pads, I had none of the pain and the length of my period was almost like it was before I had children!! Yes, I think it must be the chemicals. I, too, have experienced much less pain after switching! We got a bidet to make converting to family cloth less scary to my husband. Due to this, even my guests get curious and rarely use the toilet paper. Thanks for sharing our product!! Although just to clarify, they are not unbreakable. They are the strongest glass you can commercially purchase so if it does break we will replace it. Hi, Daedra! Good to see you here! (I follow your newsletter(: That is good to know about the straws, and I will update the post with that info! We have silicone straws (they were a gift) and bamboo straws, as a glass straw isn’t the safest option for my toddler. Stainless steel straws also exist, though I’ve not used them. In addition to all 15 of these (yaye! 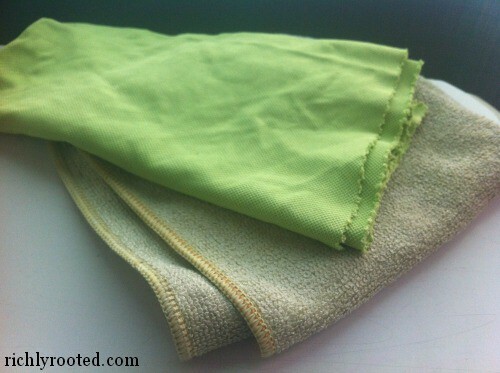 ), I have a set of muslin bags that I use for produce and bulk items at the grocery store. Along the same lines, I’ve become more aware of packaging and will buy loose produce over produce that is shrink wrapped. And water bottles! Love my Klean Kanteens! Yes! One definitely becomes more aware of the packaging! Do you use the muslin bags to store the produce in the fridge? I need to try that. And I also want to check out Klean Kanteens, as I’ve never heard of those. I think a silicone straw would be interesting. I wonder with stainless steel if they’d get too cold when you’re sipping a milkshake, though! Great list! Regarding plates and flatware, I have found excellent quality items at the local “better stores” (such as Goodwill, Salvation Army, etc). Buying used items that are easily sanitized is about as renewable and re-useable as it gets. I bought reusable mesh produce bags (you can also make your own) and I’ve only used them at Whole Foods but they don’t blink an eye. I love the bags too, so easy if you store them in your reusable grocery bag in your car! 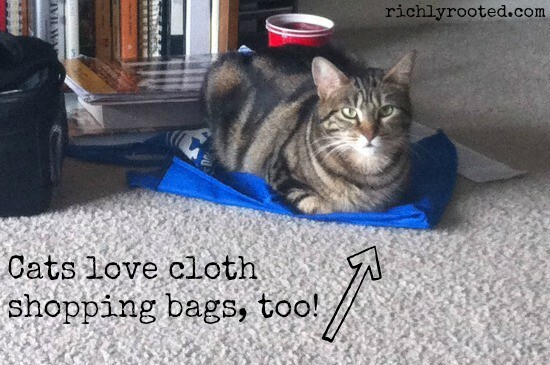 Love this list – I have gotten much better with #5 – carrying cloth shopping bags with me. It sure has reduced the amount of plastic that comes home. I also have loved #6 – Being able to just throw the shower curtain in the wash has saved money and I think looks a little nicer than the plastic ones too. We do need to get back to using cloth napkins – we did that for awhile but than life got busy and we stopped putting the effort forward. One other thing we have done has been to switch to using all glass drinking cups. We simply re-purposed pint canning jars and then added a plastic drinking band around them in various colors so we could tell which glass belonged to each family member. Fun and functional. 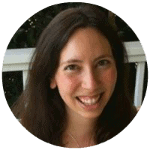 Sharing this article with my readers over on the Simplified Life Facebook page – Thanks! Victoria, I LOVE the drinking jar/coloured band idea! When our family grows, we’ll totally do that! Sea sponges instead of tampons ! $5 mixed bag at craft store. You will figure out best size and texture type for you trim to b suit. Safer and works better. Rinse out as needed during your cycle then disinfect soak and dry between times. This may be TMI for some but I have a super heavy menstrual flow requiring heaviest tampon with overnight pads changed every 1-2 hours max for first couple days. When I was able to use sea sponges again, the relief was dramatic. Very interesting! I have heard of sea sponge tampons before, and actually been curious to try them! Thanks for sharing your experience with them. I’m all about menstrual cups for sure. Imagine the possibilities if all the women in the world started using them instead of disposable products? Oh really? Interesting! I never thought of a bamboo toothbrush! I’ll have to do some browsing! I love my bamboo tooth brushes. I get mine off eBay. Purchased ours from Earth’s Daughter on Amazon. They came in a package of four and in cardboard & paper packaging. Love them! I recently discovered glass nail files and I really love them, they are such a great alternative to cardboard files. You just need to brush them with soap and water and they will last forever! Thank you for adding this! I never would’ve thought of that! To sanitize your sponges, place them in a bowl of water with a drop or two of lemon essential oil. This disinfects them. Of course, you can also run them through the dishwasher, too. Thanks, that’s a great tip!